Soccer Darts is a great way to compete against your friends, with a Twist!! 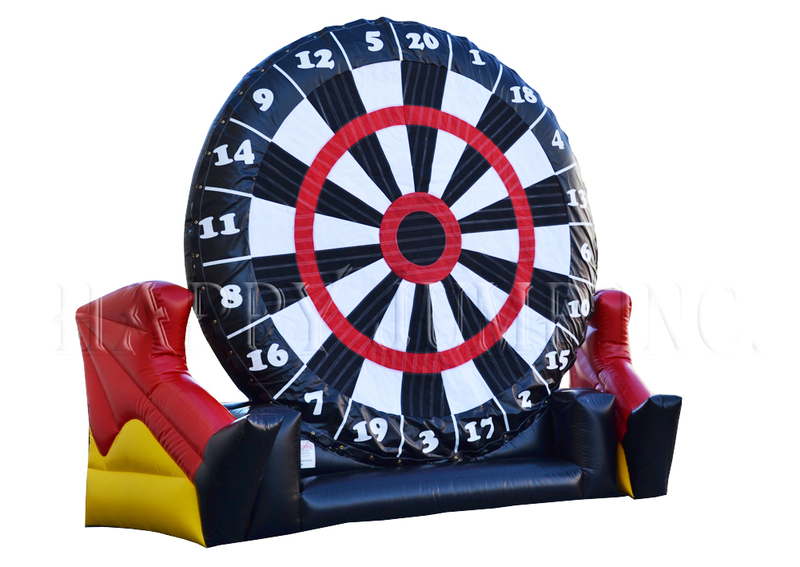 This soccer game uses Velcro soccer balls to be kicked at our Giant 18 Foot Dart Board. This game can be played with Bow and arrow, Soccer Balls, Tennis balls and more. This game is perfect for School carnivals, graduation parties. Birthdays, or just some good old fashioned back yard fun.